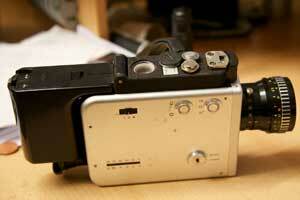 If you looking to buy a second hand super8 camera (by the way they no longer make them). It is important to remember to buy one that uses the main battery pack to power the light meter. The cameras that utilise separate batteries for the light are pretty much useless as they don’t sell the cells anymore. The batteries look like watch batteries and I have provided a picture below to help you recognise these cameras.